Welcome to the Office of International Education (OIE) at the University of South Alabama. The OIE is a division of Global USA and works to advance the Global Engagement Priority of the University’s Strategic Plan. OIE provides to the University community information and support on international partnerships and is responsible for the coordination, facilitation, and oversight of the University of South Alabama's international programs. It is charged with developing and administering study abroad; establishing international academic exchange programs; creating and maintaining institutional international agreements; reviewing and approving university related travel abroad for students, faculty, and staff; and serving as a resource for international visitor protocol. The University of South Alabama's Office of International Education and Study Abroad is located in 2300 Meisler Hall. Global USA is located in Alpha Hall East. Schedule an international education classroom presentation or student visit. An OIE staff member will talk with current or potential students about overseas opportunities. The University of South Alabama is among 21 colleges and universities nationwide awarded a substantial grant by the U.S. Department of Education International Studies and Foreign Language Program. South welcomes grad student Xiaoyan Liu from China! 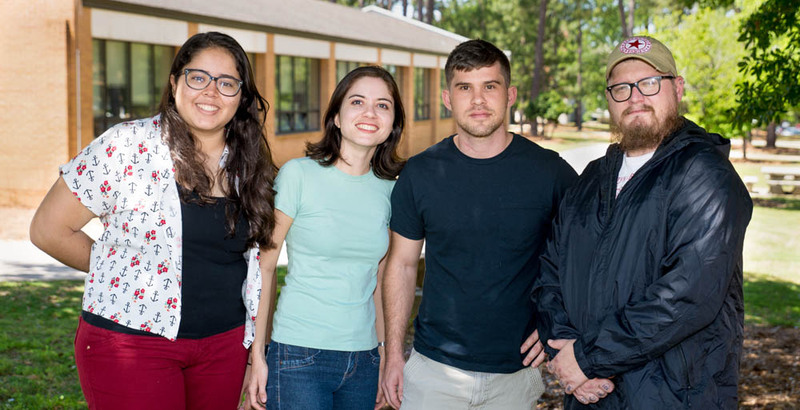 Students at the University of South Alabama experienced an infusion of Brazilian culture this spring thanks to a student exchange pilot program through the American Association of State Colleges and Universities.